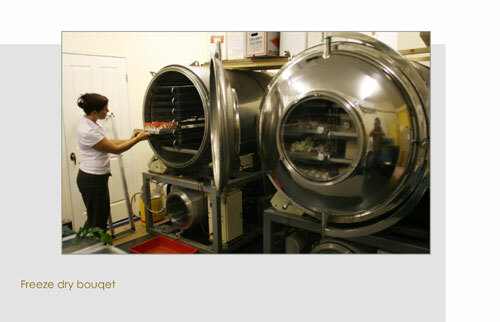 Freeze drying is the removal of water vapour from flowers while in a frozen state. This enables the flowers to retain their shape and size. Fresh flowers are placed on trays and loaded into the freeze-drying chamber. Moisture is locked into the cellular tissue of the flowers by freezing them solid. Air inside the chamber is pumped out creating a vacuum. Then ice within the flowers slowly changes to vapour. When these vapours contact the colder refrigerated ice condenser, they again change their state to solid ice. This cycle of solid-vapour-solid is described as sublimation. The end product is natural looking in appearance. THE FLOWER FACTORYS 5 STEP PRESERVATION PROCESS EXPLAINED. 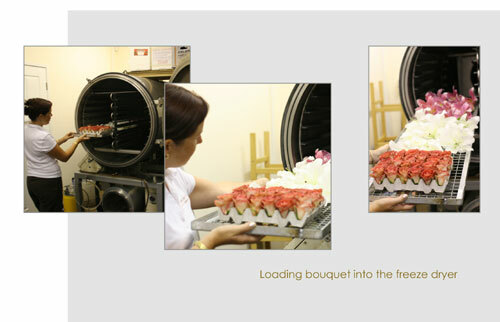 The Flower Factory carefully preserves your wedding bouquet using the latest Freeze Dry technology. 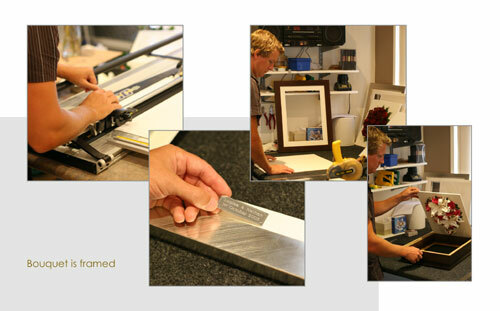 Our five-step process ensures the highest standard of floral preservation. Your bouquet is photographed, inventoried and dismantled. Each bloom is then re-hydrated. 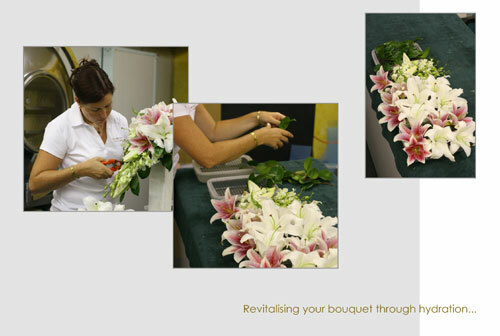 We pre-treat the flowers with a solution to make them more durable, shatter-resistant and retain their natural colour. The flowers are loaded onto trays and frozen to prepare them for the freeze drying process. The flowers are placed in the specimen chamber of the freeze dryer and remain under vacuum for 12-16 days. Our state of the art equipment allows us to determine when all of the moisture has been removed from the flowers. 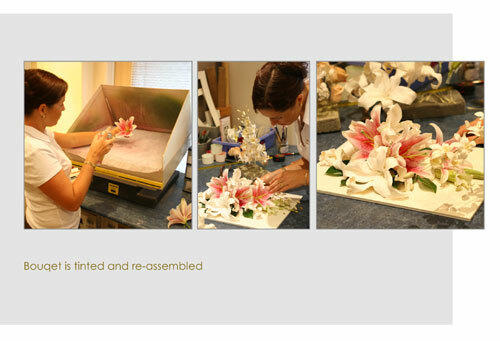 A wire stem is added to each flower head to prepare it for colour enhancement and sealing. Step 5: Design & Frame. 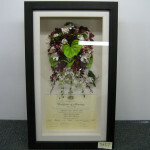 Your bouquet is now re-constructed to the original design and framed in a 3D shadow box.